When it comes to Samsung's most powerful phone to date, the Galaxy Note 4, one can choose among two different versions. One of them is equipped with its in-house Exynos silicon, the octa-core Exynos 7 Octa, whereas the other can be experienced in Qualcomm flavor, a quad-core Snapdragon 805 one. All in all, we can say that there's just a marginal performance difference between the two Note 4 counterparts, with each one having its own performance strengths and weaknesses when compared with the other one. Yet it seems that we might witness a third variant of the Galaxy Note 4, which will be powered by Qualcomm's upcoming beast of a chipset - the 64-bit Snapdragon 810, with all of its eight cores, which work in a concert thanks to ARM's big.LITTLE technology, and the Adreno 430 GPU. And now the bad news: similar to the Galaxy S5 LTE-A, this beefed-up version of the Galaxy Note 4 will hardly make it outside South Korea, where it's currently being tested by several of the largest local carriers - LG+, SKT, and Olleh. The Snapdragon 810-powered phablet will most probably debut after the Galaxy S6 debuts. Last week, we had heard that Qualcomm might be having certain troubles with the Snapdragon 810, but the manufacturer subsequently refuted all claims that it had issues with the chipset and assured that there will be no production delays. A bit off topic but, has anyone tried the Korean version of previous Galaxy/Note versions ? Is it compatible with European/England networks ? Coz I've read/saw reviews and they seem to struggle a bit too much in battery departments (probably due to different bands) on US networks. Yeah, that is their problems. Connection trouble which seriously affects the battery. I used to have an S5 prime BTW. Thanks for the info m8. I did. And let me tell you this, Korean versions of any Samsung phone are just on a higher level compared to Eu or Usa versions, in terms of screen, battery life, performance. The only thing you can be turned down is that they have an antenna gate for watching TV in Korea and Japan, which bothers a lot. And you need to know how to install Eu ROM on it for your own good, you wouldnt like the preinstalled software of Korea versions. I'd rather have the 805 than the 810. I prefer the krait cores more than the arm ones (even though it's 64-bit). I said I prefer them over the other ones. I have to reason it to you? Well usually there's a reason why people prefer one thing over an other one. haha one can prefer things based on looks but when it comes to SoC you don't just prefer this to that, a sane person would have a reason for preferring a SoC to another. Perhaps he likes teh name more and is too embarrassed to admit it. Funny how Qualcomm was quick to diss "octa-core" solutions but now is depending on it for next year, their Krait cores are awesome and offer pretty brisk performance and they should have stick with them and evolve them instead of using off the self arm designs. I guess 64 bit forced them to adopt the arm v8 sooner than they wanted and have to resort to the "octa-core" they dissed so much. You exaggerate. It was one person & he was promptly removed. He clearly did not represent the entire company's feelings on the subject. What about when they said: "Nvidia just launched their Tegra 4, not sure when those will be in the market on a commercial basis, but we believe our Snapdragon 600 outperforms Nvidia’s Tegra 4. 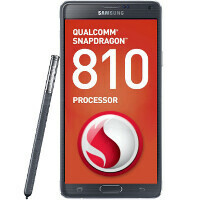 And we believe our Snapdragon 800 completely outstrips it and puts a new benchmark in place." Needless to say Tegra 4 actually wiped the floor with S600 and was a worthy competitor with S800. What does that have to do with 64-bit processing on mobile devices? What does any of your comments has to do with 64 bit processing on mobile devices? My point with the previous comment was to prove that Qualcomm isn't the angel you made them out to be in your comment and the company itself is arrogant and only disses out competitors just to be proven wrong or change their stance afterwards. Show me where I made Qualcomm out to be angels. Funny how Apple dissed large screen phones months before bringing out their own. Eventually all these companies say one thing and then turns around to do something completely different. No different then what I do. Try out the iPhone because of some over hyped feature then turn around back to Android. People may think I'm nut, but I do think like you. That makes no sense. They are BOTH ARM compliant designs. You dont know what your talking about. One is 32 bit, one is 64 bit. The 810 also comes with a stronger GPU. Is Krait superior to Cortex A15 though? The thinking here may be that Qualcomm is somehow going back on its previous strategy of proprietary cores. By using A57 cores instead of developing their own compatible 64 bit architecture, do they lose any competitive edge? All manufacturers use the ARM design. They just make their own variations of it. I'm not sure what this has to do with anything. Samsung is always releasing exclusive models in South Korea. They've used korea as a test bed for MANY of their new devices before world launches. Korea is tech crazy even worse than America, and since its so much smaller its a great place to try out specialized and new variants. Of course! South Korea gets all the good devices from Samsung. If I remember correctly, first it was the Galaxy S3 that (in South Korea) had 2Gb Ram and LTE and Samsung Exynos processor. Then, again if I remember correctly, the Galaxy S5 came with LTE-A & a QHD display. The Galaxy S4 Active with LTE-A. And again, the Note 3 Neo with beefier processor. Now, the Note 4 with Snapdragon 810. Not to mention that South Korea is already starting to get the Lollipop update for their Samsung devices (that will be getting the update). Samsung wants to know why they're starting to loose part of the market? Then they should stop launching soo many variants of their device and launch one that works globaly, like Apple and their iPhones (at least the newer iPhones. It's the best and most reliable way of testing parts though. They throw that out and their differentiation from other companies narrow considerably. Live by the sword, die by the sword. Not that they are dying though, that's just what the haters like to think. The Galaxy S4 LTE-A, the S5 LTE-A. I have them both. The South Korea version's. Both work 100% on AT&T including LTE. These devices run so much smoother, and faster than their US counterparts. People don't realize that the 805 first phone was in a Galaxy S5 back in June!! And yeah it's awesome.